"What happened to Steve Perry of Journey?" is a question that pops up again and again among music fans. Television shows and movies have helped keep Journey's catalog of 80s arena rock tunes in the spotlight, and many fans wonder whatever became of the man behind one of the 80s most distinctive voices. Steve Perry fell hard for music after hearing Sam Cooke sing Cupid, but his music career almost ended before it really got started. In his early 20s, Perry started a group called Alien Project. Soon after forming the band, Alien Project's bassist - and close Perry friend - Richard Michaels was killed in a car crash. Perry disbanded the group and returned to his parents' house, determined to quit music for good and find a new direction in life. Fate had other ideas for Perry. An Alien Project demo made its way into the hands of Walter Herbert, manager of a San Francisco based band called Journey. Herbert was secretly looking for someone to replace Journey's current lead singer, Robert Fleischmann. Fleischmann had refused to sign a management deal with Herbert, preferring to maintain independent management. Further, the rest of the band felt Fleischmann wasn't quite the right fit for them. Herbert heard Perry sing on the Alien Project demo and knew he had found his singer. Perry was brought in for a surreptitious audition for the band. At the set-up for a live show, Perry was introduced to Fleischmann as the cousin of a roadie, and he jumped up to sing a song with the band during soundcheck while Fleischmann was off doing something else. Everyone was sold, and Fleischmann was shown the door. His 1977 debut with Journey was met with skepticism from the fans, who were used to a more prog-rock sounding band - and in fact, his new bandmates had their reservations about Perry's pop inclinations. By the 1980s, however, the doubts were laid to rest, as Journey racked up hit after hit. From Oh Sherry to Open Arms, Journey ruled 80s arena rock. Things were not always pleasant behind the scenes, however. For one, Perry never stopped fostering a solo career that sometimes conflicted with Journey. It was a family emergency that brought everything to a head, however. In 1987, during the recording sessions for the Journey album Raised on Radio - which was being produced by Perry - his mother became sick. Perry frequently left recording sessions and cancelled sessions to be with his mother. The rest of the band weren't happy with his absences and eventually the group split up - somewhat acrimoniously. The bad feelings were put aside in the mid-90s, when the original Journey line-up reunited to release the hugely successful Trial By Fire. In the run-up to what was supposed to be a triumphant comeback tour, however, health issues intervened again. This time it was Perry's own health on the line. He injured his hip while hiking and was told he needed surgery. He was nervous about surgery, so asked the band to postpone the tour. Seventeen months down the line, Perry was still refusing surgery, and his bandmates were concerned they were blowing their shot at a real comeback by waiting too long to hit the road. They demanded Perry have the surgery and schedule the tour. If he refused, they would hire a replacement singer. Perry still refused and left Journey for good. Eventually, Ross Valory was hired as Journey's new singer. What happened to Steve Perry of Journey after the split? 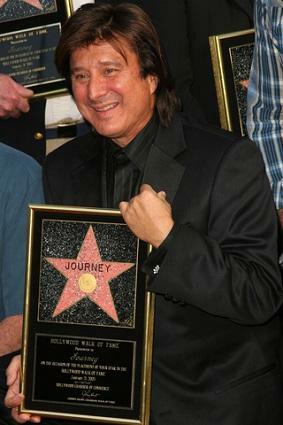 Although the remaining members own the rights to the name Journey, Perry maintains ownership for much of the group's catalog, so he has benefited from the multiple uses of Journey's hit song Don't Stop Believin' in the media - the song was famously used to close the series The Sopranos and has also been used in Glee, by the Chicago White Sox and many others. Perry is extremely private and seldom grants interviews, but in 2009, news surfaced that he might be working on a solo project. There have been rumors that his golden voice is worse for the wear, but those who know him, including former Journey session musician and American Idol judge Randy Jackson, have put those stories to rest.